LG is desperate for its mobile business to attain the same success as its display and entertainment divisions and from the looks of it, the G8 is going to be significantly improved to give a healthy level of competition to other flagships. According to the latest rumor, the G8 could feature a small amount of modularity, allowing the user to attach a secondary display in order to extend the total screen real estate of the flagship. According to a person familiar with the matter, the secondary display could be a case with a screen on it. The accessory could attach seamlessly to the G8, increasing the overall screen real estate. However, the premium handset is not going to be a foldable smartphone, but the Korean giant might have such a device in the pipeline, and it might also get 5G support. LG is betting heavily on the new wireless standard to prop up its mobile division, with the firm rumored to be attempting something different with the upcoming flagship. A previous rumor states that the G8 might be the first in the business to feature Sound on Display technology. This could potentially get rid of the earpiece and emanate sound from the display. To recap, the Sound on Display panels will use bone conduction and vibration to deliver sound. LG’s Crystal Sound OLED TVs already uses a sound emitting display panel. 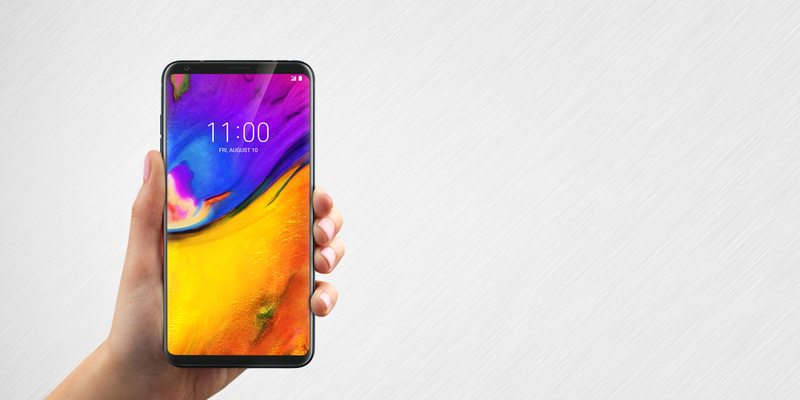 However, devices like the first-generation Xiaomi Mi MIX featured something similar, with the smartphone generating sound through a piezoelectric speaker. Unfortunately, the sound quality was poor, so it means LG will properly be tweaking the Sound on Display in order for the G8 to give off sounds with a lot of clarity. The last flagship from the company was the V40 ThinQ and is also a first from the manufacturer to feature a triple camera. We’re assuming the G8 will get the triple camera treatment and here’s to hoping that LG will improve its UI to the extent that it does not get in the way of the user experience. We could say the Korean technology giant could do itself a favor and reduce the pricing of its devices, but it does not look like the company will listen to us. However, to stay competitive, a slight reduction in pricing will go a long way for the company. Do you think a secondary display will be useful for everyday use? Tell us your thoughts down in the comments.